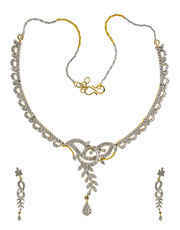 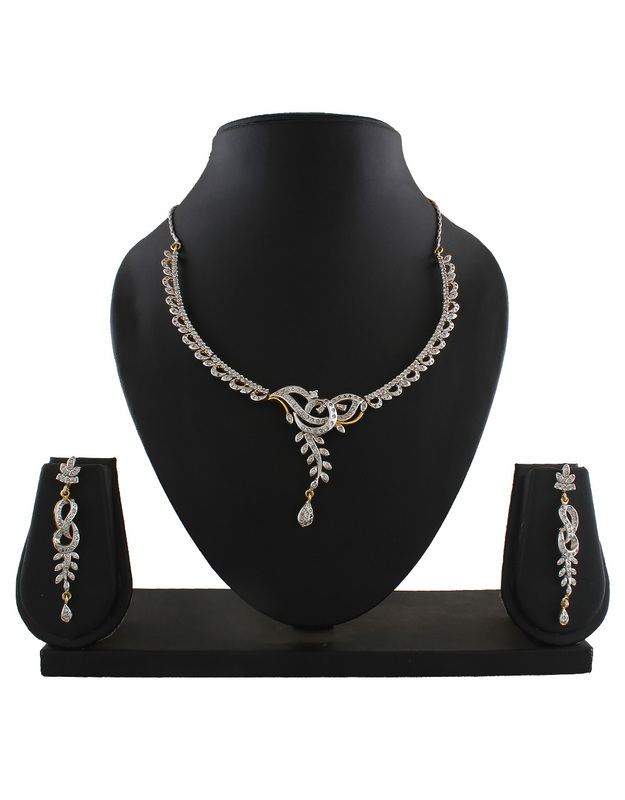 You will look exceedingly gorgeous by clubbing this beautiful necklace set with your party costumes. 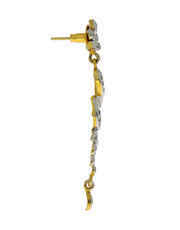 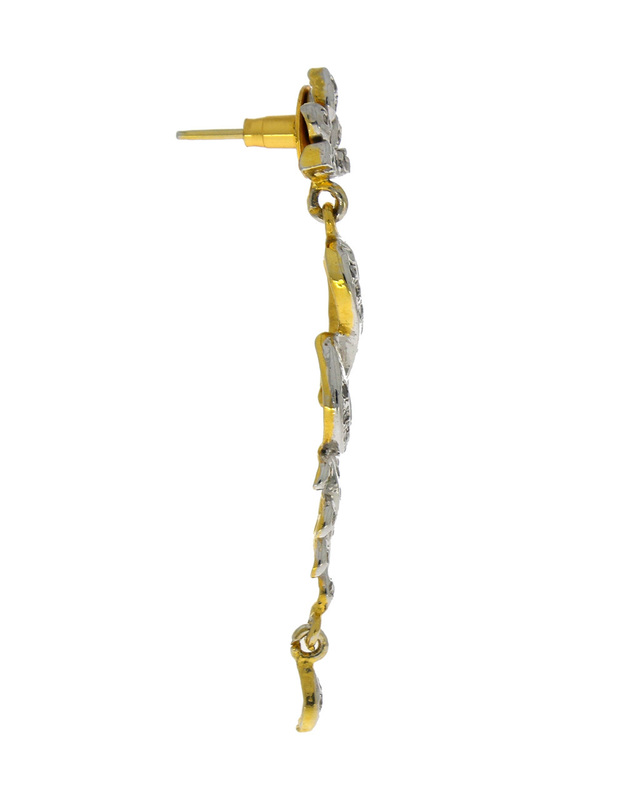 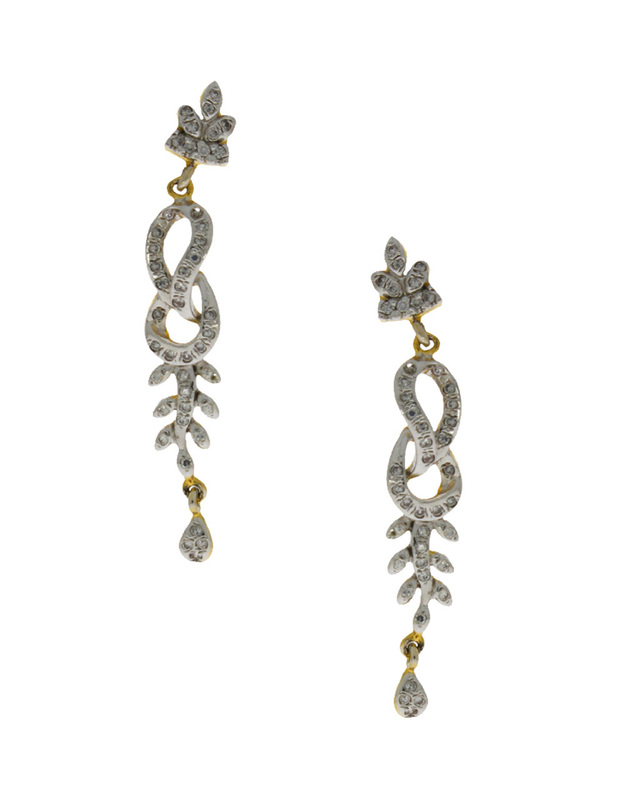 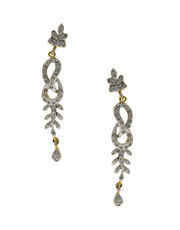 It is encrusted with American diamonds and fashioned from silver-golden finish metal. 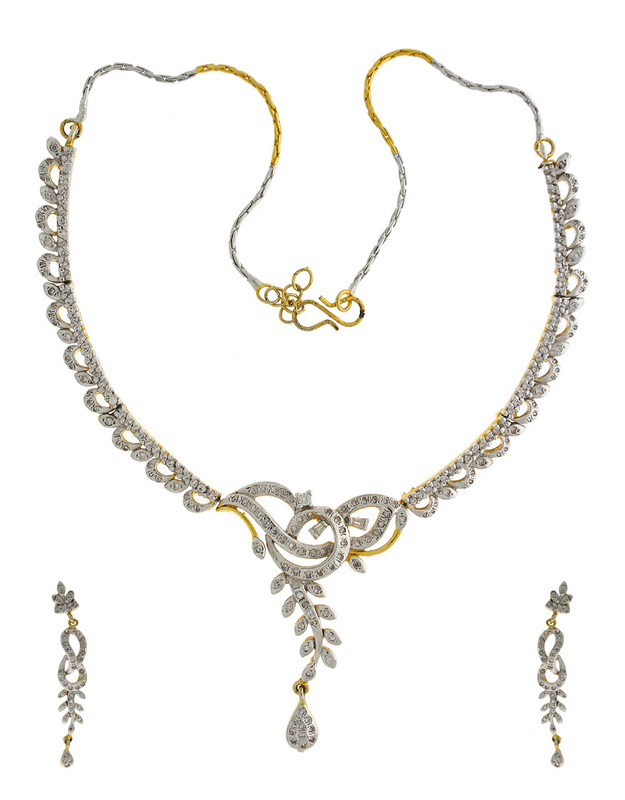 This set is perfect to team with party costumes.